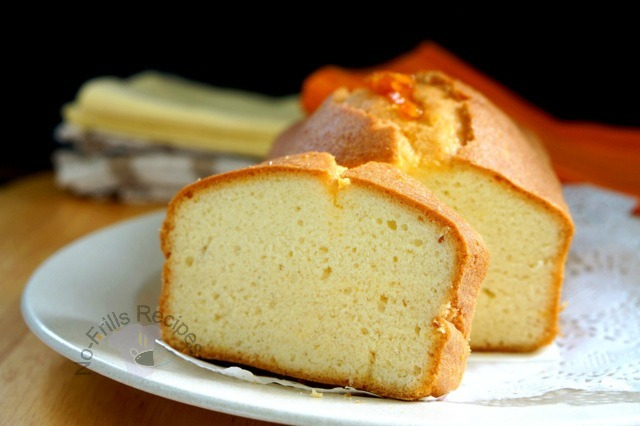 This is a fat-free cake as the ingredients are only eggs, sugar and flour. The texture is a bit dense but the flavour is well compensated by the syrup comprising of freshly squeezed orange juice with an addition of Cointreau. The cake tasted much better the next day, thanks to the orange syrup. Line a 9"x5" loaf pan, set aside. Sift plain flour and baking powder, set aside. Beat sugar and egg yolks till pale and thick. In a separate bowl, beat the egg whites till soft peaks form, not dry. Bake in a preheated oven @ 180 deg.C for 30 to 35 mins., till golden brown and a skewer inserted comes out clean. Cool the cake in the pan for 10 mins. before unmoulding onto a wire rack to cool completely. Prick holes on the base, and sides of the cake. 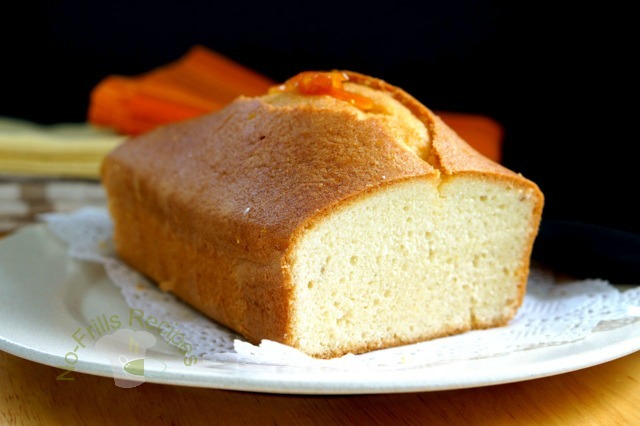 Brush the cake with the orange syrup. 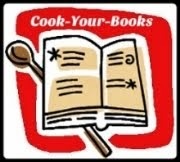 Let the syrup absorbed into the cake before serving. 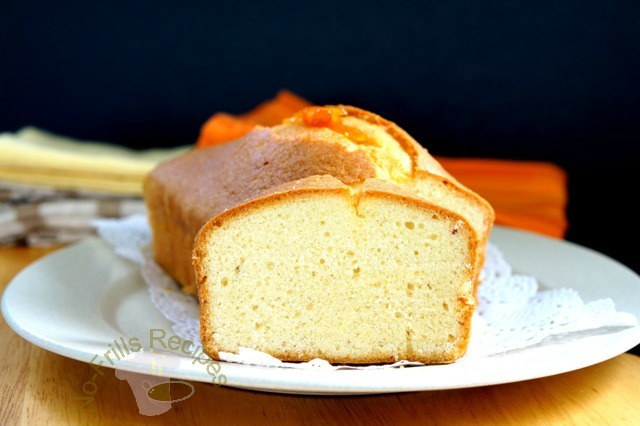 This orange cake sounds so yummy with the orange syrup. Nice clicks too! Thanks for the compliments, Ann! I love how it turned out...so smooth and beautifully golden! Oh yummy! I could eat it alone! Yes, feel free to join me! Lovely cake! 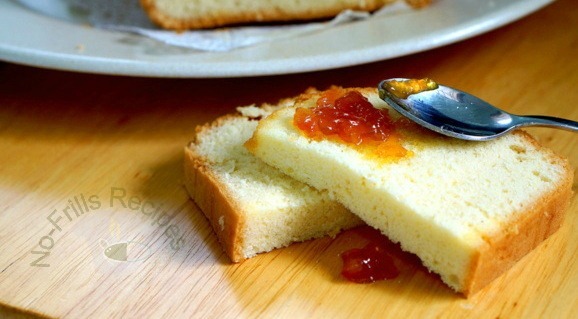 I like to toast thin slices of dense cakes likes this. 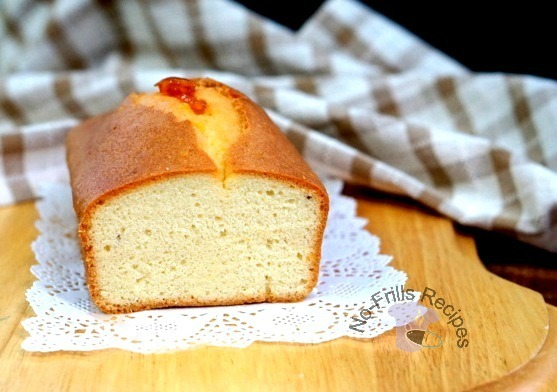 It is already tasty and after toasting it will be a little crispy, great with coffee!